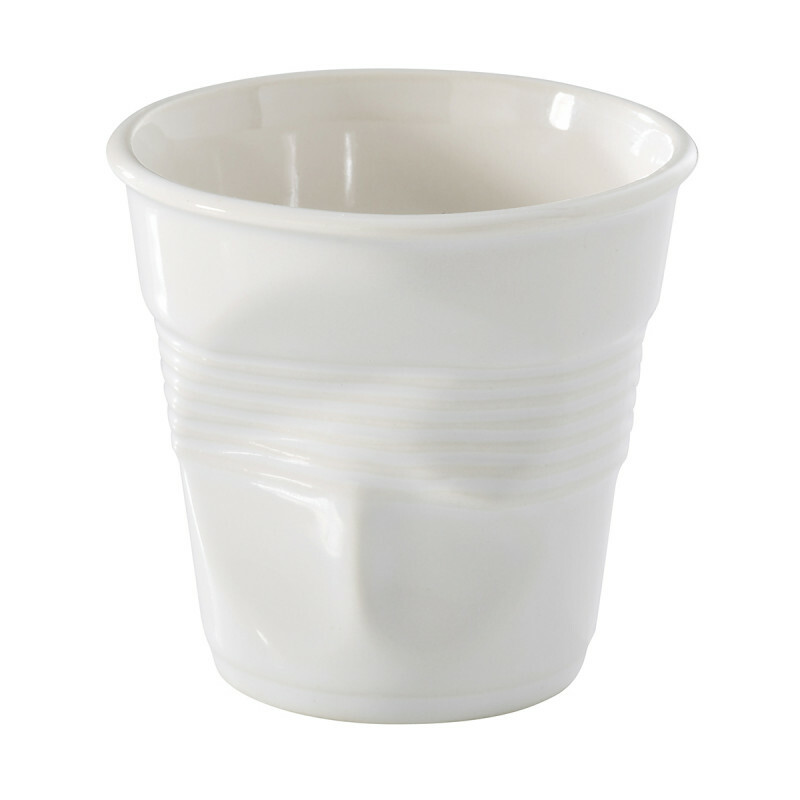 These whimsical white crumple cups will be a hit at any party. 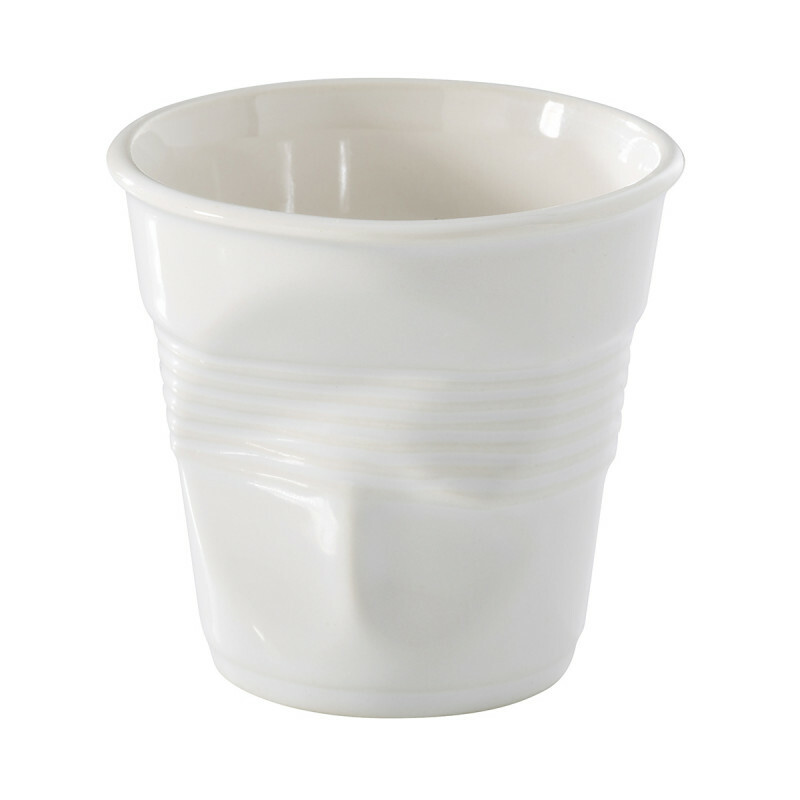 Your guests won’t believe that these fun, handy cups are actually porcelain until they pick one up! 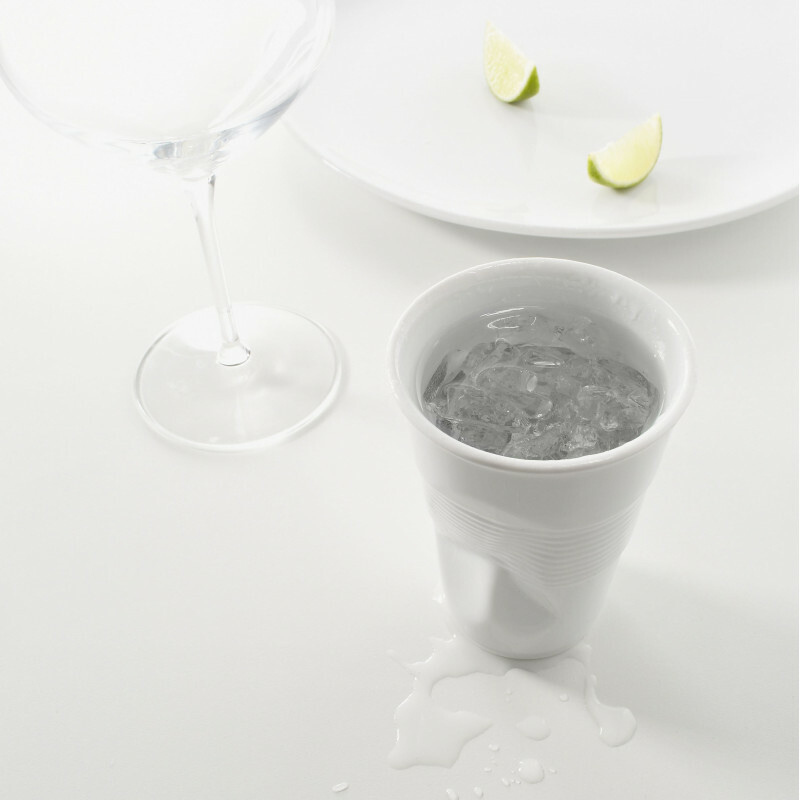 The cup mimics the look of a solo cup, but one that has already been smashed. 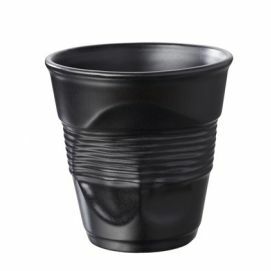 Just for fun, tell them the cups are “Froisse,” which is French for “crumple tumbler” and watch their faces as they try to guess what that means. It would be a fun party game! 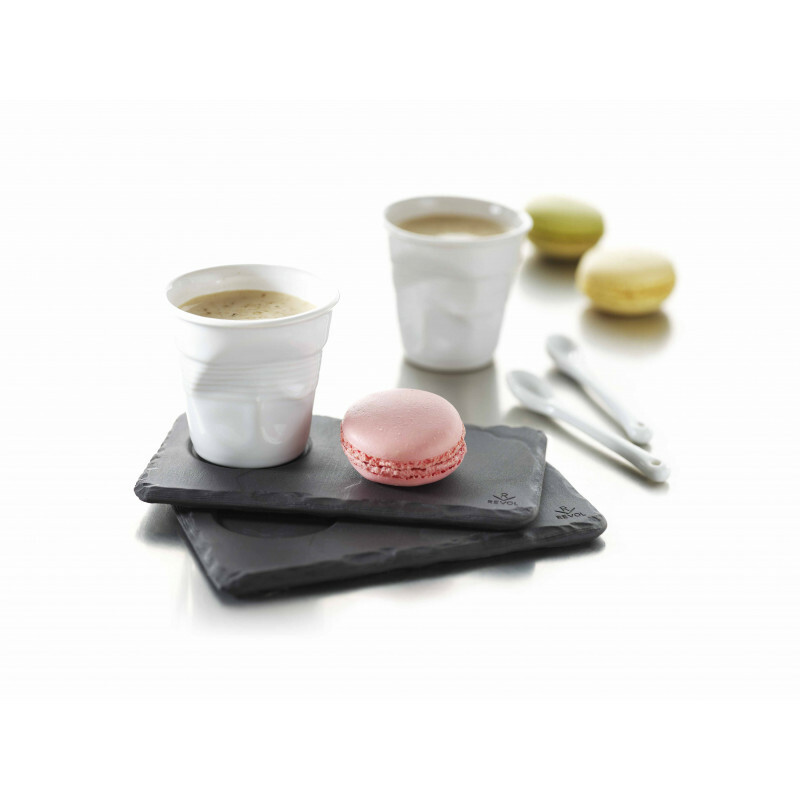 These cups are glazed by hand and were designed to have a variety of uses. 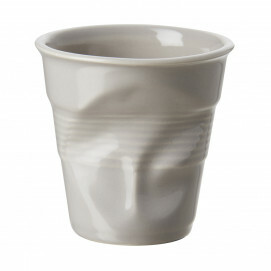 You can replace your coffee mugs, your ramekins, your tea cups, and more with these tumblers. 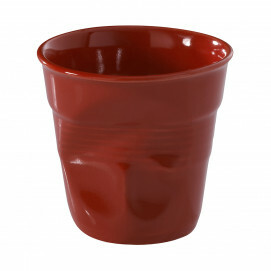 Use them to drink coffee, sip tea, or bake and serve birthday cupcakes. 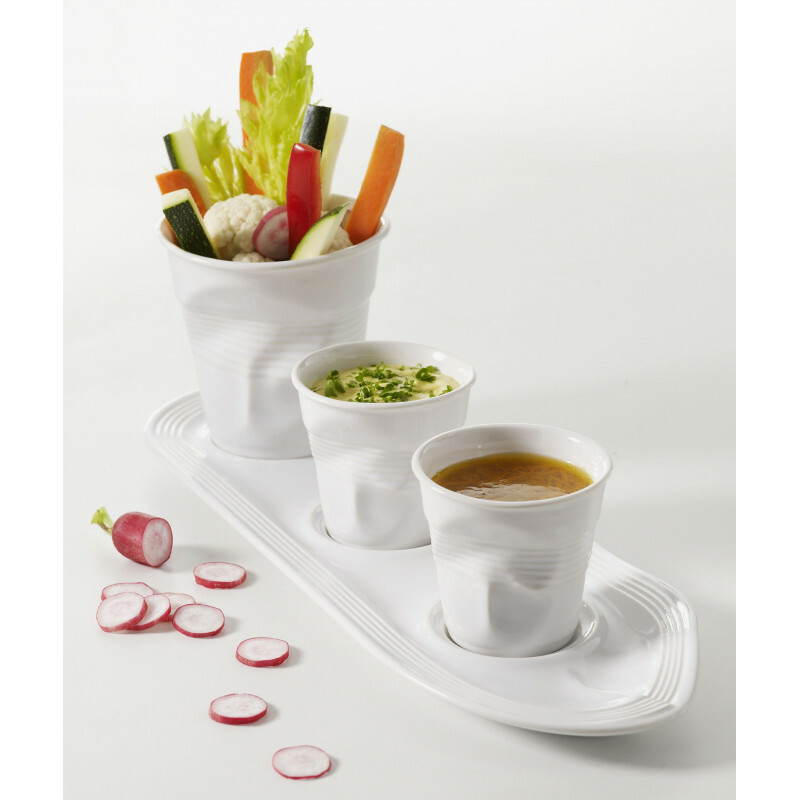 These crumpled tumblers can do anything that a ramekin, a tea cup, or a coffee cup can do. The next time you get ready to reach for that plastic cup for your coffee, think about how much waste you are generating each day when you throw it away. 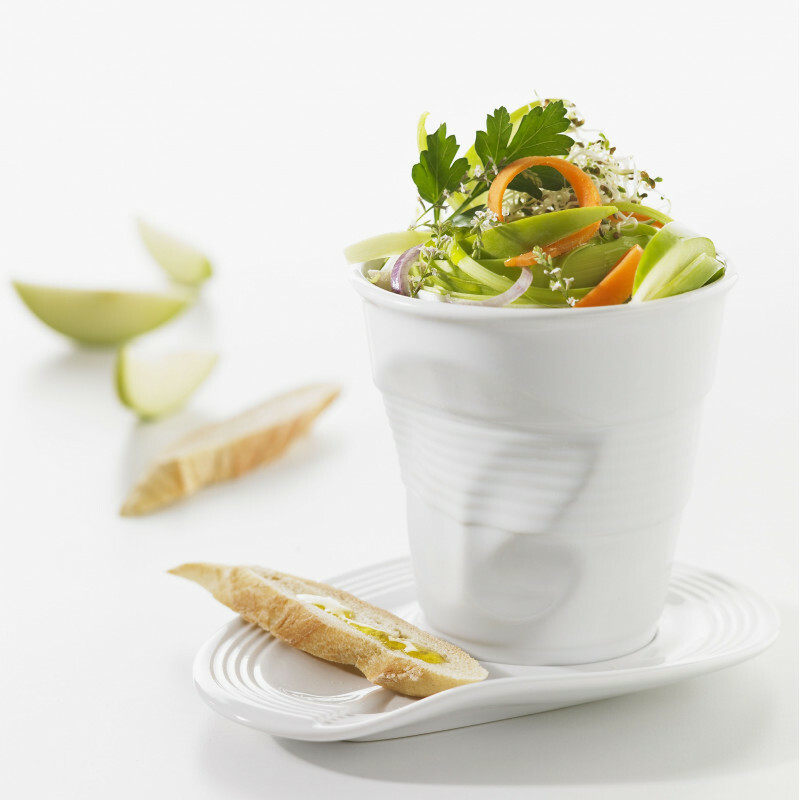 Instead, reach for the fun 100% natural porcelain that will brighten your life and is completely recyclable. You can also find much more sizes in a large assortment of colors of Crumple ! SERVING SUGGESTIONS: Serve espresso, molten chocolate cake, small crumbles, homemade cakes, frozen desserts, and more. 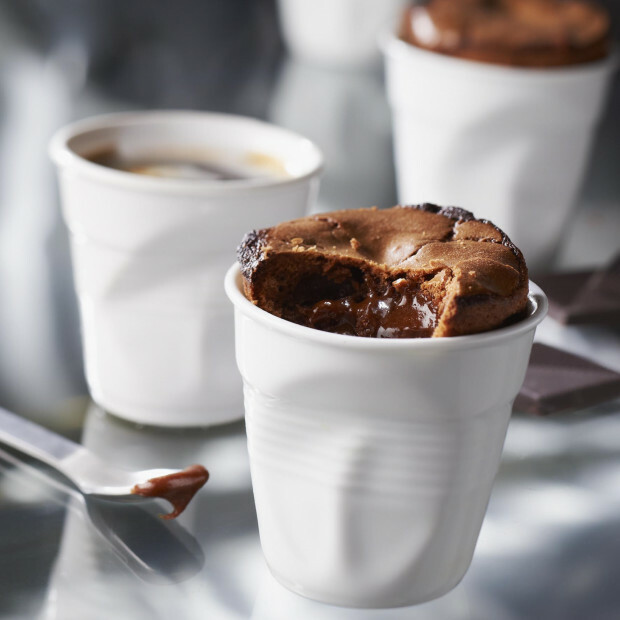 These crumple cups can replace coffee mugs, tea cups, and 6 oz ramekins.